Maria Ahmed is Editor of BusinessBecause.com, a professional networking and news site for the business school world. Visit the site for info on MBA jobs, MBA rankings and the popular Why MBA series! Whether you’re a homebody at heart or a natural backpacker, mosttop business schools will offer you the chance to go on an exchange semester in a different country. Many students opt for the glittering lights of Paris or the bustling streets of Shanghai. Others prefer less glamorous locales, but pretty much every exchange student attests to the value of their experience abroad. It takes extra creativity and networking to forge a post-MBA career these days so for both personal and career reasons, the market in exchange students is booming. Here are some of the top reasons BusinessBecause members have given for going on an exchange semester abroad! Dilek Altin, from the EuropeanSchool of Management and Technology in Berlin, spent ten weeks at Peking University. He noted that, “In most lectures…topics [like the role of government and the use of censorship] can be addressed openly.” He admits that he had not expected the campus at Peking University to be quite so liberal and emphasizes how meeting people from a different culture can offer a deeper, broader perspective on things. India native Leo Tom Zachariah found that while Germans “take time to get friendly,” Spain felt much more similar to India, especially when he was nearly hit by a car shortly after his arrival! Daniel Harrison did his MBA at HEC Paris and chose to attend an exchange program at the Chinese University of Hong Kong (CUHK). His time in Asia gave him far more than an education: it helped him land a job. With the Asian jewellery market booming, Daniel’s exposure to the Hong Kong market allowed him to parlay that experience into a job as the Director of Retail Operations for jeweller Pandora. Xu Shu and Liu Junwei from the Shanghai Advanced Institute of Finance got the chance to intern at world leading financial exchange Eurex, in Frankfurt, picking up plenty of new ideas to take back to Shanghai! The pair spent three months with the exchange house through the SAIF’s career services. While there they focused on business development for derivative products for the Middle East and Asia, and clearing systems. As his exchange semester in Rio de Janeiro came to a close, MBA student Vinod Jose found himself in his landlord’s office talking about his problems letting out his flat over the New Year and Carnaval period. Using his background in real estate in his hometown Bangalore, Vinod helped his landlord find some clients, and got a free stay in a Copacabana apartment in return. How would you ever discover that the ShangriLa Hotel in Shenzhen is where Hong Kong natives flock for cheap and excellent dim sum? Or which bars to avoid in the red light district of Wanchai? Or how to get a table at date spot Cafe Deco? By going on an exchange there! Have any other great reasons to go on semester abroad? 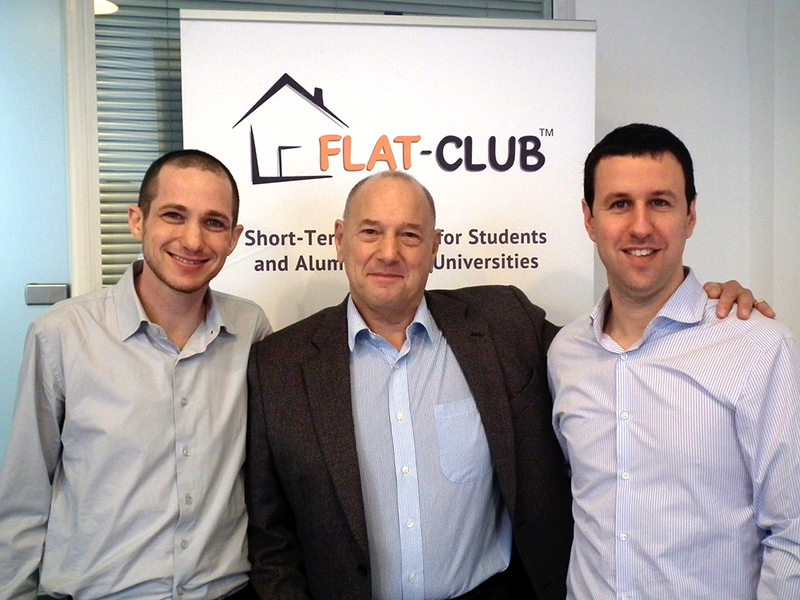 Share them on the Flat-Club Facebook page! If you're going on an exchange semester, use our Expert Search to find your particular accommodation based off of your needs. Best of all, it is completely free.